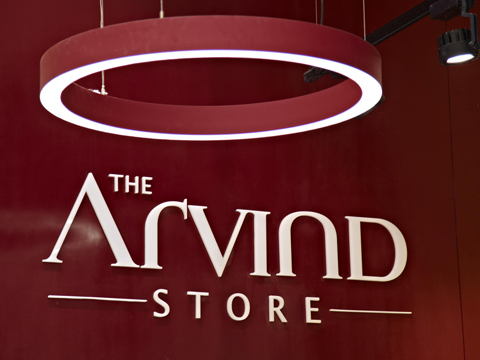 Arvind recently sold a 10 per cent stake in its fully-owned subsidiary, Arvind Fashions, for Rs 740 crores to Multiples, a private equity firm. This strategic investment will help Arvind Fashions improve its position in the domestic apparels market. Arvind, one of the leading integrated textile players in India with exposure to both textile and apparels segments, has planned to focus on its garment business. Though the textile segment continues to be Arvind’s strength, contributing Rs 465 crores to cash flows in 2015-16, to increase its margins, Arvind is looking to increase the share of fabric sold as garments from 6 per cent now to 20 per cent in the next few years. The expected growth in the Indian retail space, due to rising incomes, urbanisation, attitudinal shifts, etc., will be the main trigger for this expansion. Since its garments segment holds several well-known foreign-licensed brands such as Arrow, Tommy Hilfiger, US Polo, Flying Machine, Calvin Klein, Nautica and Izod, Arvind should be able to benefit from the growth in the retail sector. The transaction was done at overall enterprise valuation of Rs 8,000 crores for the company’s branded apparels business, significantly higher than the previous estimates of around Rs 5,000 crores. This higher valuation captures the increased growth opportunity in the garments business and will help in the counter’s re-rating. The amount, to be used for paying-off debt, will provide Arvind with the required financial muscle for future investments and acquisitions and is another reason why the counter is ready for a rerating. Arvind is already planning two garments units in Ethiopia and this should give additional annual revenue of around Rs 1,000 crores. There is also a possibility that Arvind Fashions may go for a separate listing, another re-rating trigger. Since 50 per cent of its revenues come from the domestic market, pressure is expected to mount in both December and March quarter numbers due to the demonetisation impact.